Former Philadelphia Eagles running back LeSean McCoy has been accused of abusing his son and using him as a pawn in the ongoing investigation of a violent home invasion that took place in July at his Georgia property, according to a court filing obtained by TMZ. Stephanie Maisonet, the mother of McCoy's 6-year-old son, filed court documents in the case involving the brutal beating of Delicia Cordon, an ex-girlfriend of the Buffalo Bills running back. The documents are part of a personal injury lawsuit filed by Cordon against McCoy, who denies any involvement in the jewelry robbery and beating that occurred at his home. Cordon and her attorneys have insinuated McCoy orchestrated the attack amid an ongoing legal battle to evict her from the home in Alpharetta, Georgia. Maisonet's filing claims the NFL player offered her a deal in the wake of the incident, TMZ reported. If she publicly supported him and defended his character, McCoy allegedly agreed to drop his claim in the couple's child custody case and allow Maisonet to enroll their son at a school in Miami. With Maisonet's permission, a friend of McCoy's accessed Maisonet's Instagram account and posted a supportive message about McCoy, according to the court filing. Other documents reportedly allege Maisonet heard McCoy say "I need to get this b**** out of my house" in the days leading up to the July attack. Maisonet also stated she believes the running back physically abused their son on multiple occasions, prompting her to make a report with child services. A photo attached to the filing reportedly shows McCoy's son with a bruise on his chin. Similar abuse allegations were made against McCoy in the Instagram post that first implicated him alongside a bloody picture of the victim. That post was made by one of Cordon's friends. "Let's not talk about all the times my best friend had to stop you from viciously beating your son for small things like peeing in the bed," the friend wrote in the July post. To date there have been no criminal charges filed against McCoy or anyone else in the home invasion investigation. 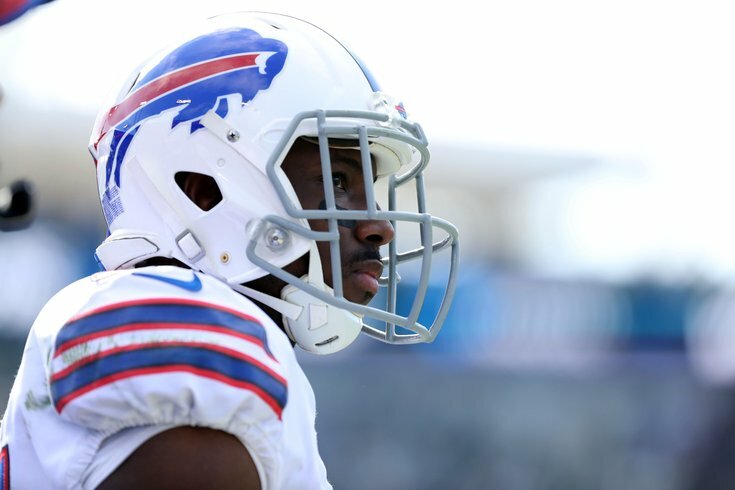 McCoy also has remained free from punishment under the NFL's personal conduct policy and has appeared in the Bills' first two games of the 2018-19 NFL season. McCoy did not provide a statement about the court filing on Tuesday. Days before it became public, he posted a photo of himself with his son at Dave & Buster's. "Say what you want his opinion is the only opinion that matters," McCoy wrote.